Today I stopped at the Charlotte White Mottet Library, one of the 10 libraries that make up the Tacoma Public Library System. 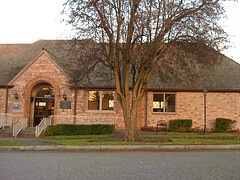 The library was built in 1930, a gift to the city from Mr. Mottet, a local businessman. The architect for the building was Silas E. Nelsen, who also designed the McCormick Branch Library, the Everell S. Collins Memorial Library at the University of Puget Sound, the Tacoma Mausoleum, the Johnson Candy Co. Building and the Tacoma City Light Administration Building. Note that Mottet Branch is one of the libraries that could potentially be eliminated depending on the budget option recommended by the library trustees. 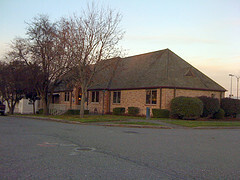 This entry was posted in Books (Libraries and Bookstores), Tacoma, WA State - Pierce County and tagged budget, Charlotte White Mottet Library, eliminated, Johnson Candy, library, McCormik, Mottet, Silas Nelsen, Tacoma, Tacoma City Light, Tacoma Mausoleum on December 3, 2010 by admin.